Home / Tax liens / Can You Negotiate a Tax Lien Withdrawal? A federal tax lien withdrawal removes the Notice of Federal Tax Lien (NFTL) from the public records. You can request a tax lien withdrawal once you’ve paid off your tax debt or as part of your installment agreement negotiations. The NFTL was filed prematurely or improperly. You’ve paid off your tax debt, your tax lien has been released, and you’ve been in tax compliance for the past three years. You’ve entered into an installment agreement that meets certain conditions. You negotiate the lien withdrawal. This could require showing the IRS that the lien withdrawal will allow you to pay more towards your tax debt. You owe $25,000 or less. Your agreement must pay your full balance within 60 months or by the collection statute expiration date, whichever comes first. You’ve made three consecutive direct debit payments. You are in tax compliance and have no prior defaults on direct debit installment agreements. Removing the NFTL from the public records lets other creditors know that the IRS won’t be competing with them. This could make it easier to sell your home, refinance, or get a second mortgage. However, the lien withdrawal does not negate your tax liability. If you have a remaining balance, you are still required to pay it, and the IRS retains its ability to used enforced collection actions if you refuse to pay. If you are considering selling your home or borrowing against your home to pay off your tax debt, you may be able to request a lien withdrawal. These transactions could facilitate collection of the tax debt by the IRS. Ask a tax attorney to help you make your case and negotiate the lien withdrawal. If you have delinquent tax debt, but the IRS hasn’t yet filed the NFTL, you may also be able to avoid the NFTL in some situations. Some types of installment agreements don’t require the IRS to file the NFTL, depending on the amount of your balance and other factors. Consult a tax resolution attorney to get help avoiding or removing the IRS tax lien from any public records. 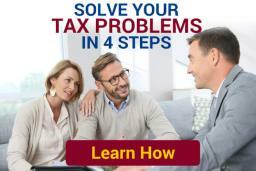 How Can You Remove An IRS Tax Lien?